On January 10, we launched a weekly leadership video conference call for pastors & ministry leaders LIVE from the Center for National Renewal! Now, hundreds of pastors are being inspired and equipped each week! 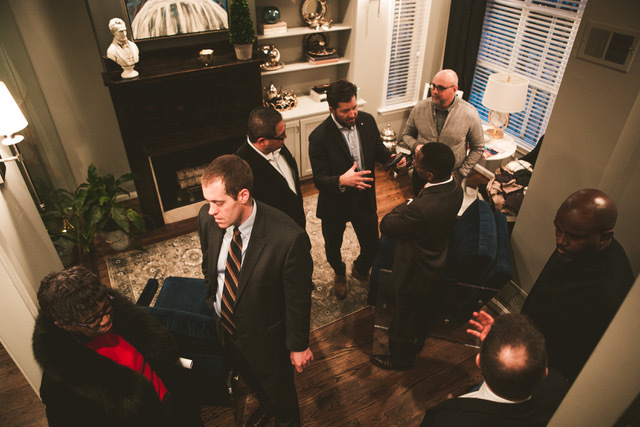 The Center for National Renewal commissioned a study and authored a report to resource pastors, churches, and influencers in the work of racial reconciliation. From it, we also developed a brief for leaders entitled ‘5 Principles for Reconciliation,’ which is the beginning of a national initiative we are pioneering to foster healing and restoration along racial and ethnic lines. I was honored to join a small group of leaders of national organizations for private meetings to discuss critical sensitive issues like immigration reform, DACA, mid-term elections, and Kingdom strategies for influence. Veronica Birkenstock, Susan B. Anthony List, Board Member (PIC), who is also an active member of our affiliate church Elevate Life in Frisco, TX with Pastors Keith & Sheila Craft, stopped by for a visit and tour of the Center to lend her support. Veronica is currently running for TX State Representative in Frisco, TX! January 19 was the annual March for Life in DC – the nations largest Pro-Life gathering! It was a busy day and the CFNR was strategically represented with guests and events advancing and advocating for pro-life issues! Your regular giving fuels the work of Renewal! Schedule your monthly support with PayPal! CFNR hosted Human Coalition for a reception with their Co-Founder and President, Brian Fisher, along with strategic staff, and partners. We also welcomed Congressman Mark Walker (NC) who is a former pastor and strong advocate for pro-life issues in the US Congress. CFNR welcomed Mayor Derrick Freeman and his wife Shannon, who is leading his city out of devastation from Hurricane Harvey. Churches in Covenant, Center For National Renewal, and YOUR gifts provided relief to that entire region through our HelpChurches.org initiative. Mayor Freeman is also a member of one of our affiliate churches. WOW! This was just the FIRST month of the new year! This doesn’t even include all the conversations, meetings, travel, and strategic conversations that God is orchestrating on a weekly basis! I know one thing for sure, YOU share in all that God is doing through the Center for National Renewal because you’ve embraced the vision, united with us in prayer, and given generously in faith. A great harvest is to come for you and God’s blessing will be multiplied back to you! Thanks for your continued support! It’s GOD'S vision, OUR nation, and I’m so glad to have YOU in partnership with US!